Do you love those irresistible Potato Twisters ? Well Same! 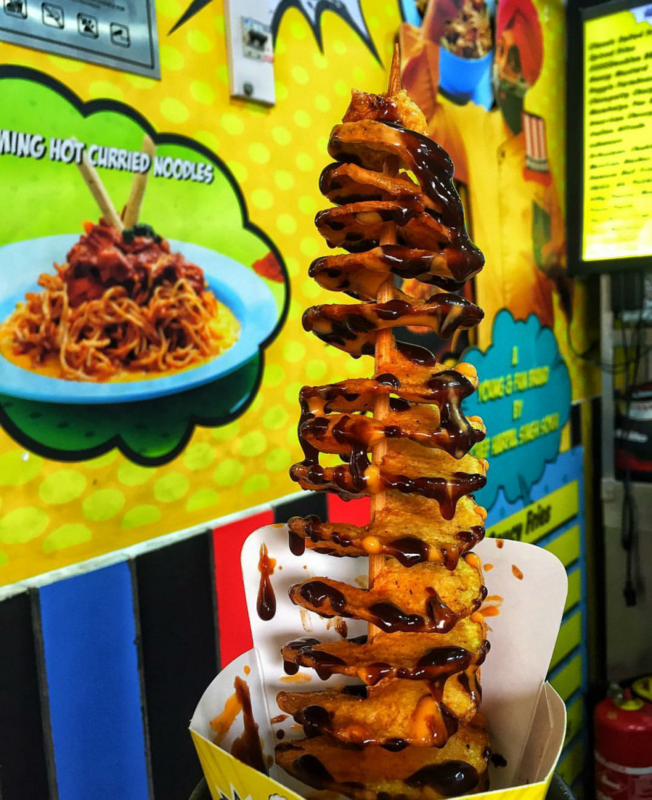 As if fries didn’t already taste like heaven.We now have the insta famous peppy potato twisters,infused with a variety of flavours and spattered with exotic assorted dips and sauces. So, if you wanna get in trend with these beauties then you should defo read ahead for some delish deets! 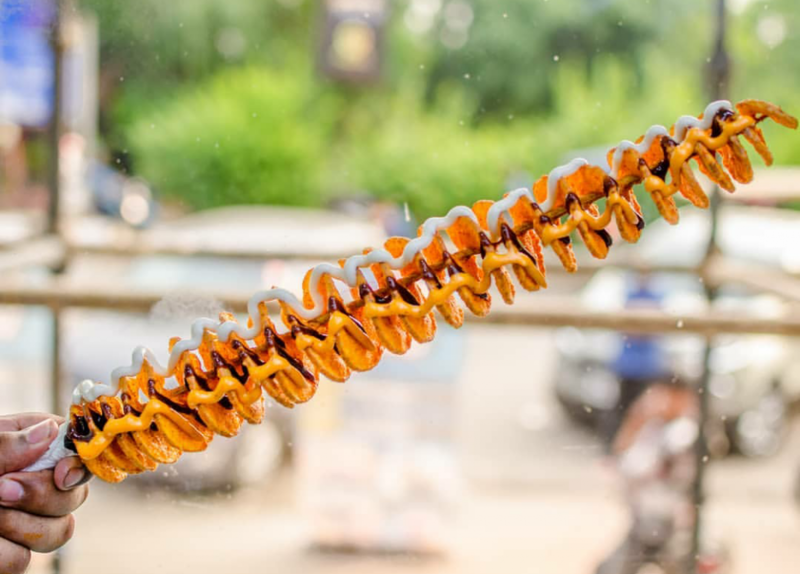 We found this little joint in Netaji Subhash Place and it was love at first bite! Called Dhadoom,everything here was indeed a blast of flavours and we found that this is one of the food chains founded by our fave Punjabi Chef, Harpal Singh Sokhi(SAY WHAT)! From wraps to north Indian meals they have it all but the show stopper remains the Potato Tornado,priced at just INR 99. (Quick fact-Everything in the menu is priced under 200 bucks). The potato tornadoes are available in four unique flavours like Desi imli, Red Italian, Cheese BBQ and Chilli Garlic Schezwan. So what’s the holding back people? Just gather up your bhookha gang and nosh on the yumminess on the cheap!